County Fermanagh is one of the six historic counties of Northern Ireland and also one of the thirty-two traditional counties of Ireland. The county covers an area of 1,691 km² (653 sq mi) and has a population of approximately 61,805. Enniskillen is the county town and largest in both size and population. 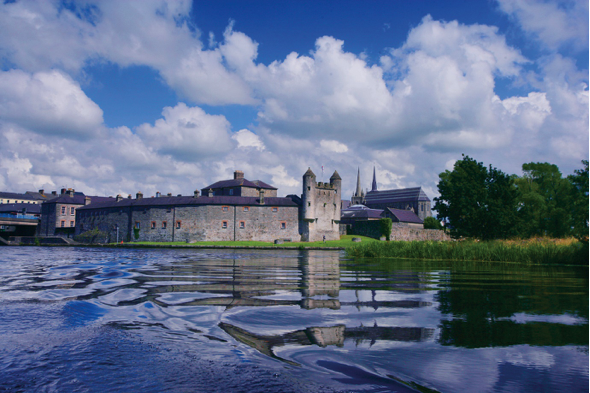 Fermanagh is within the historic province of Ulster. Fermanagh was a stronghold of the Maguire clan and Donn Carrach Maguire (died 1302) was the first of the chiefs of the Maguire dynasty. However, on the confiscation of lands Fermanagh was divided in similar manner to the other five counties among Scottish and English undertakers and native Irish. Chief families to benefit under the new settlement were the families of Cole, Blennerhasset, Butler, Hume, and Dunbar. Fermanagh was made into a county by statute of Elizabeth I, but it was not until the time of the Plantation of Ulster that it was finally brought under civil government.